AMSOIL Synthetic Metric 10W-30 Motorcycle Oil is designed for metric bike owners who demand the absolute best lubrication for their motorcycles. Whether riding aggressively, cruising or in stop-and-go traffic, AMSOIL Synthetic Metric Motorcycle Oil delivers the benefits most important to riders, including premium wear protection; smooth, confident shifts and cool, clean performance. With AMSOIL Synthetic Metric Motorcycle Oil, riders enjoy the confidence and security that comes with providing their bikes maximum protection and performance. It is Warranty Secure™ and will not void your motorcycle's warranty. Whether riding aggressively, cruising or in stop-and-go traffic, AMSOIL MCT 10W-30 Synthetic Metric Motorcycle Oil delivers the benefits most important to riders, including premium wear protection; smooth, confident shifts and cool, clean performance. AMSOIL 10W-30 Synthetic Metric Motorcycle Oil is engineered for motorcycles that require 10W-30 motorcycle oil, including those made by Honda, Yamaha, Kawasaki and Suzuki. * Recommended for transmissions requiring an API GL-1 fluid. Not recommended where an API GL-4 or GL-5 gear oil is required. AMSOIL is known for AMSOIL Synthetic V-Twin Motorcycle Oil, formulated for all types of V-twins, including Harleys. 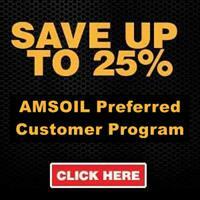 Why should I consider AMSOIL Synthetic Metric Motorcycle Oil? 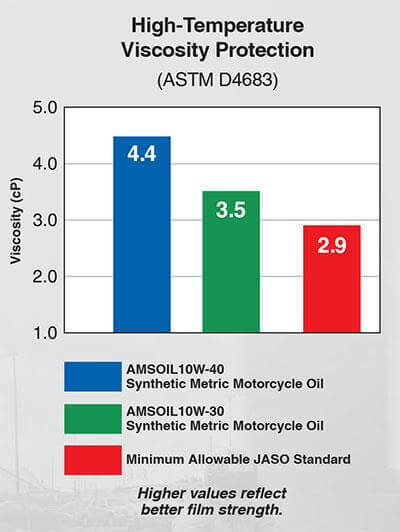 The same dedication to quality and performance that goes into AMSOIL Synthetic V-Twin Motorcycle Oil has gone into AMSOIL Synthetic Metric Motorcycle Oil. It is formulated to meet or exceed motorcycle manufacturer recommendations and outperform other conventional and synthetic oils. AMSOIL Synthetic Metric Motorcycle Oil is designed to deliver smooth, confident shifts; cool, clean performance; and premium wear protection. Will switching to AMSOIL Synthetic Metric Motorcycle Oil affect my bike’s warranty? AMSOIL synthetic lubricants are Warranty Secure™, keeping your factory warranty intact. AMSOIL Synthetic Metric Motorcycle Oil is a high-performance replacement for vehicle manufacturer-branded products and is also backed by the AMSOIL Limited Warranty.